new car...it came like that!?!?!? mod list plz.. or jst the exhaust so far? God that rear wing is ugly. You need different wheels and a serious drop asap. Car looks really nice. Only complaint is the wings. Sweet, I actually kinda like that wing on it. Beautiful, I have always had a soft spot for the Chaser! Your really lucky to have such a wonderful car. I actually kinda like the spoiler, it would grow on me after a while. i gave it a good run and this is wayyyyy better then my previous car the r33. ill look at the car more properly later been abit busy lately and ill post up more pic aswell! 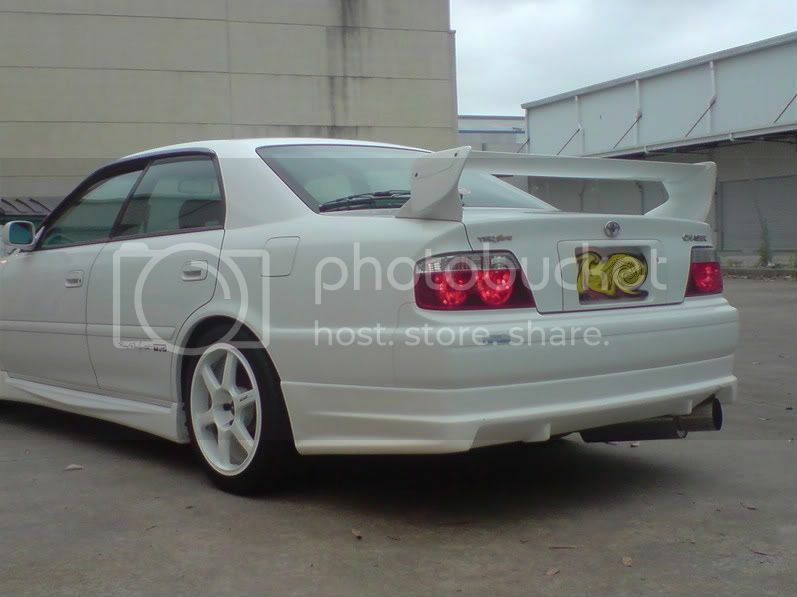 Love the toyota Chaser. Seen guys drifting them to VIP. Very versatile car. Love them in white. i thought they wer introducing a 15 year rule? lucky guys, makes me wanna experience the life up there... either toronto or vancouver. 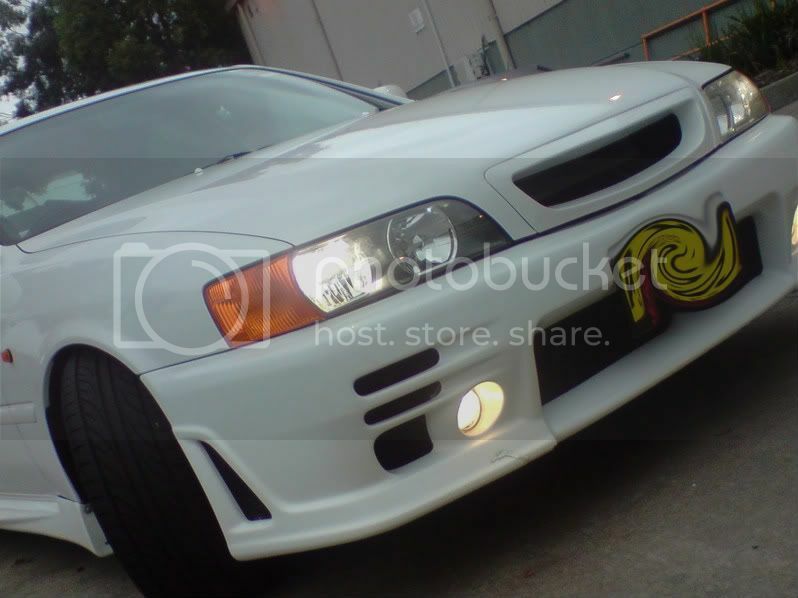 today im goin to a jdmstyletuning.com end of month meet so there should be more pic of my cars and stax of other cars! @5hu7o just wondering how much did u pay for it?? There was such a law?